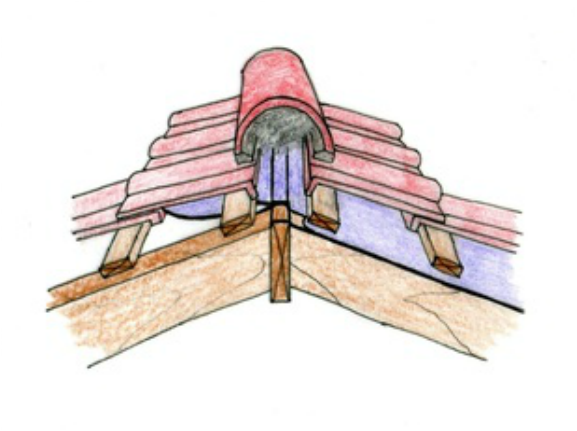 The Ridge Detail shows the highest point of the roof, where the tiles are stopped and a ridge tile is used to finish the meeting of the two roof surfaces. A 175mm x 32mm Ridge Board is installed in order to attach the rafters. It is very important to show the underlay of the roof (felt) wrapping up and around the top of the ridge board. 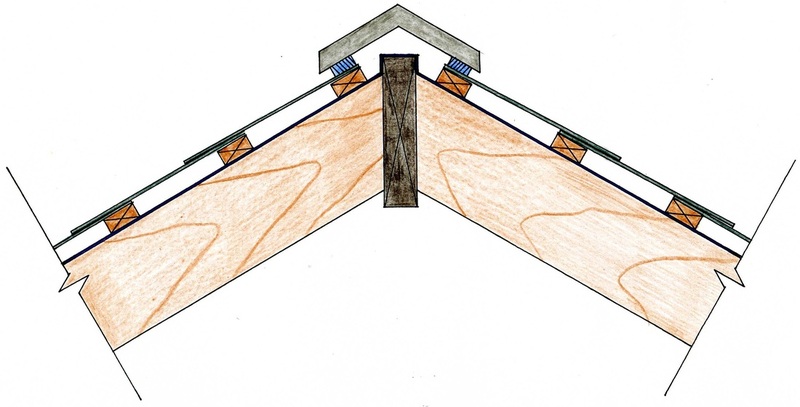 This ensures that any moisture that may penetrate the ridge tiles will not decay the timber of the roof. The ridge tile is generally bedded in mortar to ensure a secure fixing, preventing the ridge tiles from being removed in windy weather. This video shows the most effective approach for drafting the drawing of the ridge detail.